Teori PraktikThere are lots of people interested in lightweight backpacking and quite a few also write about their experiences, not only in the US (you'll find some of those in our link list). In the Scandinavian countries there is a growing number of entusiasts, not only here at Fjäderlätt, who dearly would like to kill the myth that heavier gear per definition brings more comfort. In Finland we find Hendrik M with Hiking in Finland. 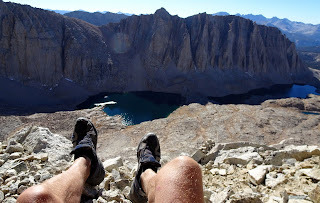 This blog started in April 2009 and is a mixture of gear talk and trip reports, with nice photos. Hendrik is rapidly lightening his pack and testing all sorts of new, ultra light gear. In Norway there is Joe with his Thunder in the Night. 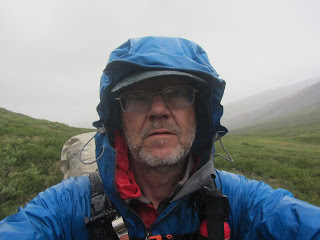 Joe is an Englishman in the mountains of Norway and started his blogg in June 2008, when he was laid up with an ankle tweaked for the best of reasons; running across a local heath. The blog follows his move to Norway and evolvement towards lighter gear. I also has lots of trip reports with phots from the beautiful mountains. In Denmark the Danish Australian couple Nielsen Brown blogs at, surprise, Nielsen Brown Outdoors. They started this blog in 2007 and it's a great mixture of trip reports with nice photos from Denmark, southern Sweden, Norway as well as Australia. This blog also has quite a bit of lightweight gear testing. Last and so far least in this non-conclusive list is Gustav in Sweden with his newly (August 2009) started The Bearable Lightness blog. Gustav has been a ultra light fan for a number of years, but has only recently begun writing about his hobby.